Rainwater Harvesting (RWH), an effective solution for flooding and water scarcity, is collapsing in the state that pioneered this conservation model in the country. RWH structures have a nominal presence in many households in Chennai, but rarely ever follow the guidelines that advise harvesting water from the rooftop as well as setback area (around the building). A Rainwater Harvesting Audit carried out by the Akash Ganga Trust for the Chennai Metropolitan Development Authority in 2015 exposed the reality of rainwater harvesting in the city and it’s not something we can be proud of. A majority of households lack RWH structures in the setback area. The survey, conducted in a total of 1348 dwelling units, found that 27 per cent of them are not RWH compliant. 98% of those, who have rainwater harvesting infrastructure, were harvesting only terrace rainwater and only a miniscule 2% were harvesting the rainwater falling over the open spaces around the buildings, the survey noted. Amendments made to Section 215 (a) of the Tamil Nadu District Municipalities Act, 1920 and Building Rules 1973, have made it compulsory to have RWH structures in all new buildings. To state it simply, a new building without a RWH structure would not be given water and sewer connections from the Chennai Metro Water Supply and Sewerage Board. 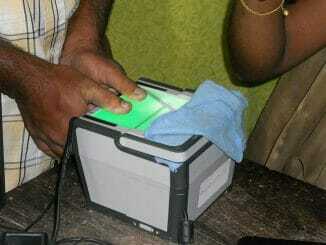 However, the loopholes in the law make it convenient for the public to escape the scanner. More than ten people that Citizen Matters spoke to admitted that they had not built RWH structures in their renovated households. R Parvathy, who has built a house atop an already existing one in Tambaram said, “I am yet to fix the pipelines that carry the water from the terrace to the underground sump.” She had no answer when asked about the reasons for the delay. Lack of enforcement was a major reason for the existing lapses. Ironically, a majority of the engineers from the metro water department, who inspect the households before providing the water and sewer connections, are oblivious of the existing guidelines. The reply shows that the law, which mandates harvesting setback area (also) is practically toothless where there is an absence of sufficient enforcement. Why is RWH critical for Chennai? It is imperative that we improvise manage and conserve our groundwater resources efficiently, considering the fact that Chennai has no perennial rivers. According to a survey conducted by Centre for Science and Environment in 2000, more than 60 per cent of the citizens rely on groundwater, while 40 per cent rely on Chennai Metro water. In fact, Chennai Metro Water also relies on groundwater from Tiruvallur and Kancheepuram districts, in addition to the four rain-dependent reservoirs (Poondi, Cholavaram, Red Hills and Chembarambakkam) and the two desalination plants (Nemmeli and Minjur), to meet the water supply needs of the city. Multiple surveys and audits have shown that a city resident on average gets only only half his requirement of water. “When the water consumption pattern is analysed, a Chennaiite uses anywhere between 50 – 90 litres of water a day, which falls far below the standards set by the Central Public Health and Environmental Engineering Organisation (150 litres per capita consumption),” says hydro-geologist J Saravanan. In suburban Chennai, where residents spend a large chunk of their income on purchasing water from private water tankers, RWH can be the best choice to increase the groundwater table. 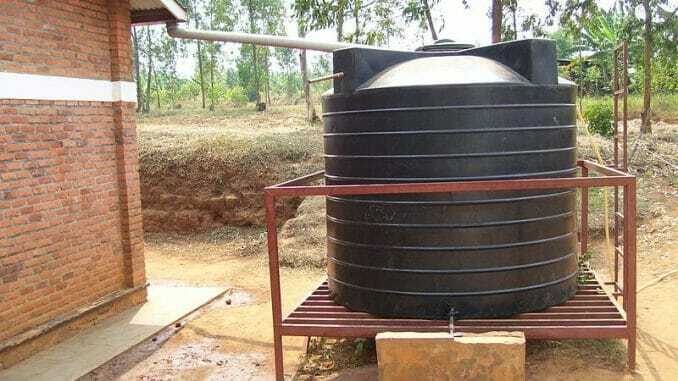 “The well that had run dry last year now has water to the brim, thanks to rainwater harvesting. 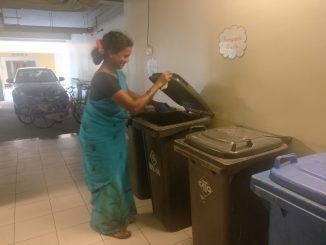 I no longer buy water from tankers, as the well water suffices for my family’s needs,” says Anju Raj, a resident of Guindy. For all who have not yet installed RWH facilities or are not using it optimally, Anju’s example should be a wake-up call. For many, however, getting started and ensuring proper processes pose stiff challenges in themselves. In a follow-up article, we shall look at a complete guide for citizens looking at harvesting rainwater in the best and most effective manner possible. 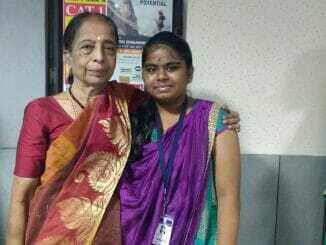 Students of the NSS wing at Ethiraj College for Women are volunteering enthusiastically for the “Talk to a Granny” programme launched by Chennai-based Senior Citizens Bureau, with the aim to cheer up elderly women battling loneliness in the big city. Nice article… Cities like Chennai needs RWH.. It’s a curse to purchase water, a natural resource for all living being..